HomeTagsPosts tagged with "travel blogger"
The weather right now leaves a lot to be desired, so dreaming of distant lands is our new favourite pastime. There are plenty of travel bloggers out there who live charmed lives, being paid to venture from exotic place to exotic place. We've compiled a list of our favourites, who's sea and sun-soaked feeds are making us uber jealous. Probably the most famous of travel bloggers, Lauren Bullen travels the wide world with her equally as cultured boyfriend (who also happens to be a travel blogger). Her Instagram is literal goals, showing off more exotic destinations and blue seas than you could ever dream of. 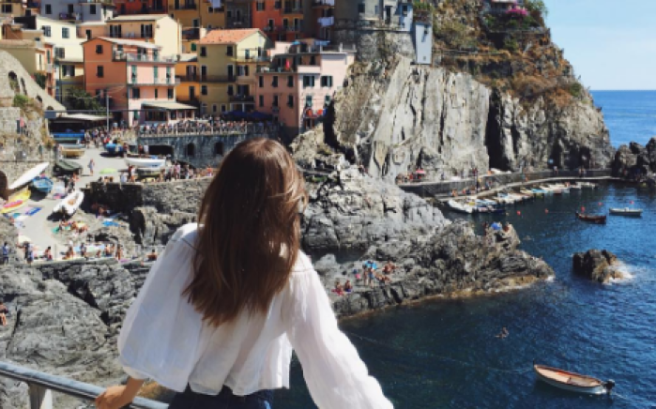 Brooke Saward is the author of travel tome World of Wanderlust and has the perfect Instagram to match. Hitting all the best holiday destinations, this Australian twenty-something definitely isn't afraid to fly solo. Kirsten is a travel photographer, and her list of destinations is endless. The unique and best thing about her Instagram page is the detailed descriptions of her travels which caption each striking image. Landscape photographer Daniel takes the most unique and surreal images of one-of-a-kind terrains. You wont find your typical blue sea and cocktails snaps here, but intense and striking landscape imagery. Madeline's 'gram is so envy-inducing, we kind of can't stand to look at it. The blogger has roamed through India, Morocco, Turkey and Bali, and that's just in the last few weeks. If you prefer a more rustic take on travel photography, Emelie's 'gram is for you. Emelie also regularly discusses her travels through her photo captions, so the snaps are informative as well as stunning. This blogger has a massive following and a huge list of travel destinations on her feed to go with it. The globetrotting travel guru makes the most of all of her trips, taking pictures of food, friends and amazing scenery. This Insta pro stands out from the crowd with her account that promotes active living. Be it rock climbing, hiking, cave diving or scuba diving, this girl never stops. As the dull overcast sky follow us all the way into work, our Instagram can reveal beautiful, sunny places. Travel bloggers pout and strike a pose in front of the most world's most exotic and luxury locations. But just how much do they get paid for taking the vacay? Well, get ready to be sick. A recent report by Hopper reveals exactly how much the globe's most well travelled grammers make per Instagram post – and we are only a tad bitter about the cash they rake in for taking a holiday *sigh*. It's a family affair taking top spot. Yes, The Bucket Family have rocketed their way to Instagram and Youtube fame when they sold off all their valuables and took to globe trotting for three years. Now back in Hawaii, it'll be interesting to see what the family will get up to next and if they can keep their number one position in 2019. Paul's feed is every animal lovers DREAM. Filled with spectacular images of some of the globes rarest animals, it's easy to see why Paul is in high demand and can afford to charge so much. Get ready to be blown away by the landscape shots Chris has taken. His impressive content has earned him a place at number three, allowing him to add a neat price tag onto his ads. Jack's Instagram is one of goals, his snaps capture him lounging by crystal blue seas or coasting around the world with his partner. It's no wonder he able to keep up this type of lifestyle as advertisers fork out a pretty penny to be featured on his gram. Animals, beaches and festivals. Lauren's feed has it all and it's not a surprise that advertisers will shell out for a post. Her photographs look effortless and her all round tan is a clear mark that this gal enjoys warmer weather. Discover the world's hidden corners with Alex. The Instagram star captures the illusive side of life and he isn't afraid to investigate caves or jungles. Not only are Leonie's travel posts on point, her fashion is too. This gal seems to have every element down of what it takes to get that perfect Insta photo. A familiar face to many, Louis took Insta by storm with his adventures, so we aren't one bit surprised to see him on the list. His iconic hair paired with his wild side, makes him an instant hit on the social media platform. Fall in love with Hannes' gorgeously themed Insta, we are seriously in awe! Through a lens, he manages to still-frame nature at its finest. Finally, last but not least, we have Tara's page. Her Insta is bursting with vivid colours. This gal knows how to stand out from the crowd and add some flare to your feed. 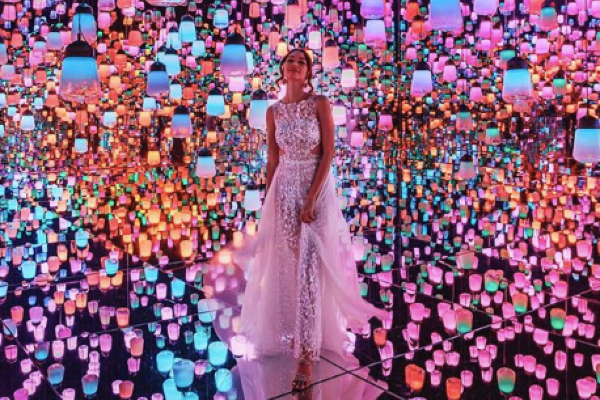 There you have it, now you know what your fav travel Insta stars are making when you see #ad. If their feeds aren't enough to give you the travel bug, we don't know what will. Excuse us, we are now off to scout for some cheap flights.